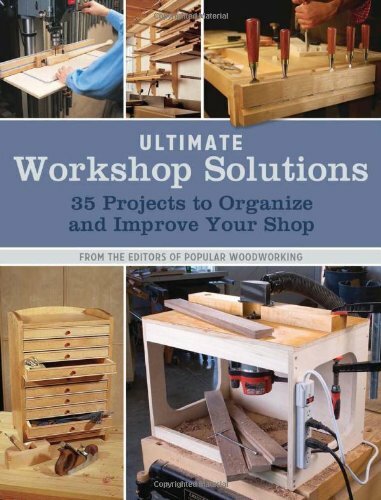 Learning from the ideas of other woodworkers, while avoiding their mistakes is an excellent way to design and set-up your own shop layout. Setting up a woodworking shop as a hobby place, or for a some one more serious, who even may venture off into some sort of woodworking business; is not as easy as it might sound. Knowing the correct steps to follow will save you time and money, but it will also save you a lot of stress down the road. The shop you see in the layout is my current setup and has evolved over many years to accommodate most importantly the acquisition of newer equipment but also better work flow. It is a free standing two story traditional barn style with office and storage space on the second level. Lumber and supplies are moved in and out of the shop through the front overhead door. To the left of the door are the lumber and plywood storage racks. Across from the lumber rack and to the right of the overhead door is the radial arm saw, miter saw and mortise utilizing a single fence system for all operations. Below and above these are cabinets and storage for misc. power hand tools. I recently met a man known among local woodworkers for having a large workshop with a lot of tools. He offered to show me his workshop, and take photographs of it. His workshop covers the entire basement of a large 1800 square foot bungalow. It's difficult to capture this workshop in just a few photos, so I figured I'd include a large number of photos. This is not a guide to shop layout. That may, in fact come later, depending on how much time I devote to this web site. These are important issues that you must consider as you design your shop. My shop is in my garage. Even as we were picking out house designs I knew it would be in my garage. That means that there isn’t a time since we decided to build that I haven’t been considering these issues, and planning and changing plans. That is the nature of it. I knew what I would settle for as a minimum, and made sure it was expendable enough to ensure I could change my mind if I needed or wanted. Lumber and supplies are moved in and out of the shop through the front overhead door. To the left of the door are the lumber and plywood storage racks. Across from the lumber rack and to the right of the overhead door is the radial arm saw, miter saw and mortise utilizing a single fence system for all operations. Below and above these are cabinets and storage for misc. power hand tools. Next to the radial arm saw and in the corner is the floor drill press with accessory storage next to it for all drilling operations. Across from the radial arm saw is a separate workstation set up with a small portable table saw and router set-up with storage underneath for routers, bits and accessories.